Secret Santa, two words you either love or hate. 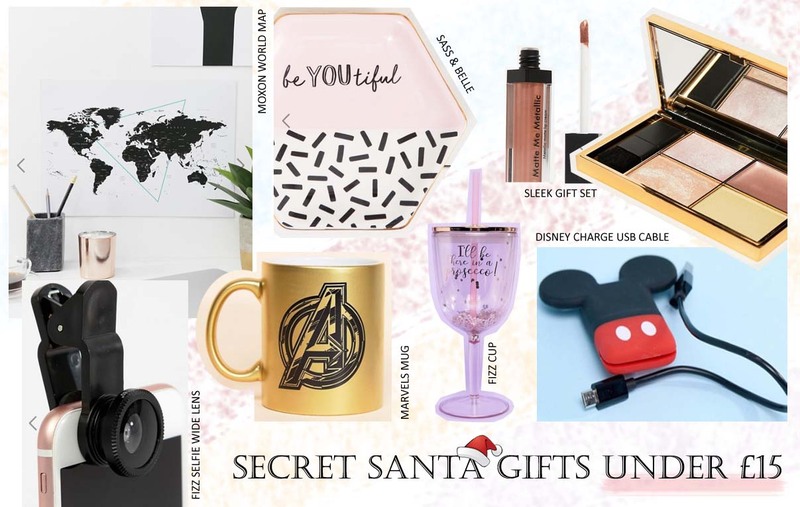 Personally, I find Secret Santa very exciting, trying to find out the other person likes and dislikes without them knowing. These are all under £15 so you won't be breaking the bank. By all means feel free to pick up some fluffy socks from Primark and the person's favourite sweets, these are just some ideas to help you out. I've picked out more items linked on my Pinterest page here. So don't forget to check that out. This is a great guide! Sleek in such an underrated brand!